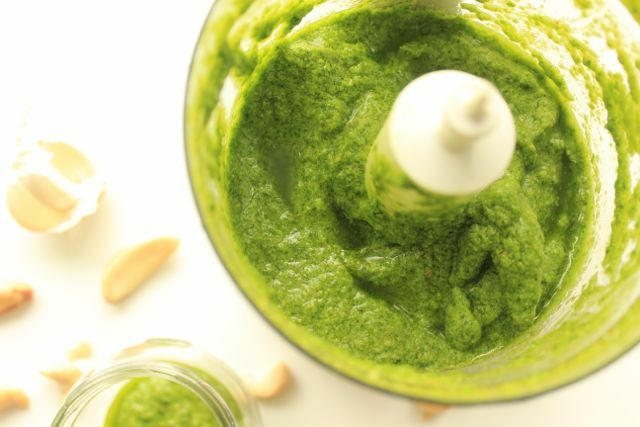 Mmmhhhh, pesto is simply amazing! I wish I had invented it. But it was the Italians again. They simply know how to make the most delicious things! Cut garlic roughly, make basil completely naked (i.e. pluck all leaves) and put it with the nuts and the remaining ingredients in the blender and blend until it forms a nice, creamy mass. You may need more salt or olive oil depending on how big your basil plant and your garlic clove is. Now simply cook your favorite pasta and enjoy with the pesto.